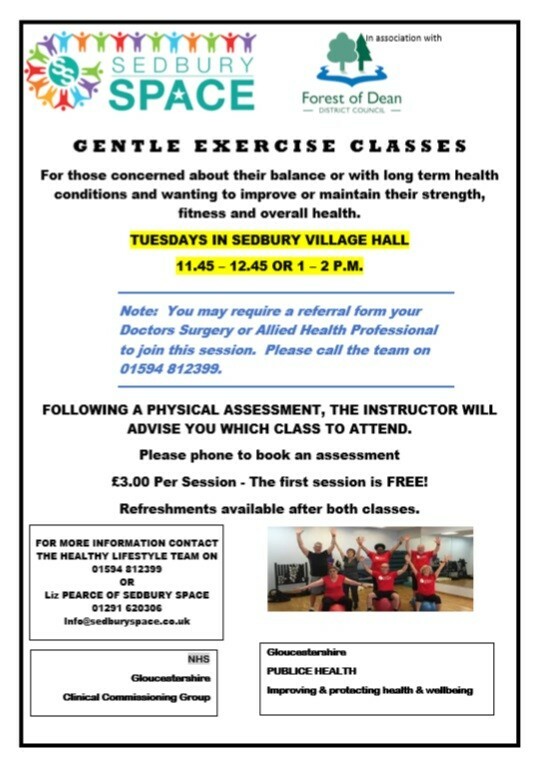 The sessions will run on Tuesdays in Sedbury Village Hall, from 11.45am-12.45pm or 1pm-2pm. A group for people concerned about their balance or with long term health conditions and wanting to improve or maintain strength, fitness and health. Following a physical assessment, the instructor will advise you which class is recommended for you. Please phone to book the assessment. The first sessions are free, and then it is £3 per session. Refreshments will be available after both classes.